Who knows what’s happened to his old cosmetics shop? Who knows what’s happened to his old cosmetics shop? Its windows could be broken. It shelves could be looted. And meanwhile, Maliq struggles to find food for his family in a country that won’t let him work. 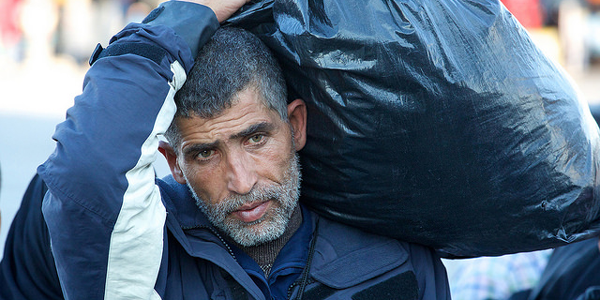 Governments are often slow to give refugees legal rights to seek employment. Maliq can only wait for the United Nations to send them to a country in which he can, hopefully, settle and find employment. As he waits, you have blessed his family with access to food. Join us as we comfort refugees who have lost their jobs and homes. Help us sustain them during these weeks, months and years of waiting.